It’s an exciting time to practice medicine in healthcare’s digital coming of age as new technologies are emerging daily with the promise of disrupting what has traditionally been a very slow-to-change industry. There’s no denying that two very distinct worlds – social media and healthcare – are colliding at a rapid pace. Out of that evolution, a new breed of provider has emerged. These professionals are around the same age as Mark Zuckerberg and they’ve understandably been raised, educated, and trained with a screen in front of them. They are called social clinicals and they will forever change the face of peer-to-peer collaboration in the healthcare space. Well, come to find out, the answer is a lot! Doctors, nurses, mid-level providers and medical staff have a lot to gain from today’s innovations in social media, and not just Twitter and Facebook. Take, for example, social collaboration and image sharing platforms. They are just one of the many emerging technologies that are showing promise as clinicians begin to understand that collaboration with colleagues around the globe is critical in order to keep ahead of the curve, be inspired, and remain connected. The social collaboration trend is growing in the physician-to-physician sphere as social clinicals find that they can quickly and easily share not only their opinions and expertise, but garner opinions from other experts in their fields on highly complex cases that aren’t cut and dry. 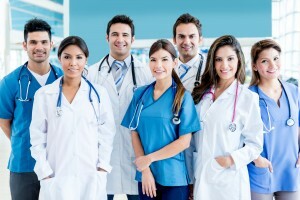 Social collaboration platforms such as eRounds (eRounds.com), are marrying collaboration and image sharing, enabling social clinicals to post patient images (sans protected health information) and receive real-time, unbiased expert opinions with a global community of like-minded providers, not just the doctor around the corner. It’s as if Instagram and LinkedIn both went to medical school and then got married. Social clinicals finally recognize that the ability to improve patient care through the use of social and mobile technologies is real, it’s impactful, and is here to stay. In fact, these innovative technologies will ultimately redefine their role from just a surgeon, family practice doctor, or nurse to a highly interactive and collaborative practitioner who is constantly seeking better patient outcomes.